The Derr Chieftain Mouse is a breed of mouse found in the Derr Dunes.it is known to drop Ancient Mangled Blueprint and Red Pepper Seed as loot. The leader of the Derr Tribe is eerily calm as they organize the tribe to pursue their goal of dominating the entire island. Ruthless, merciless and without remorse, the Derr Chieftain is a powerful force that commands respect from their entire tribe. The Derr Chieftain Mouse has been found to be especially attracted to Crunchy cheese, to the point that any other kind of cheese will simply not suffice. The Derr Chieftain Mouse drops the Derr Egg during the annual Spring Egg Hunt. 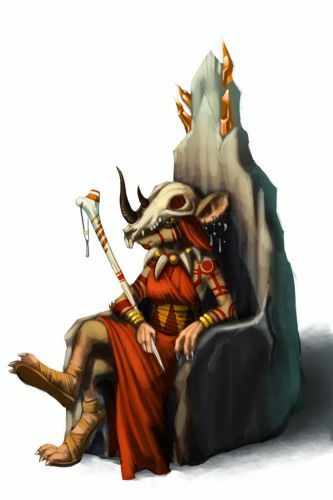 21 July 2009: The Derr Chieftain Mouse was released with the introduction of the Tribal Isles region. 14 April 2011: The Derr Chieftain Mouse began dropping a bonus Derr Egg as loot during the Spring Egg Hunt 2011 event. This page was last edited on 27 May 2017, at 02:14.